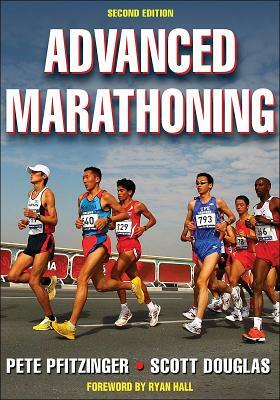 Human Kinetics Publishers, 9780736074605, 247pp. Pete Pfitzinger ran in the 1984 and 1988 Olympic marathons, both times finishing as the top American. With a personal best of 2:11:43, Pfitzinger is a two-time winner of the San Francisco Marathon and placed third in the 1987 New York City Marathon. He was ranked the top American marathoner in 1984 by Track & Field News, and he is a member of the Road Runners Club of America's Hall of Fame. Currently the chief executive of the New Zealand Academy of Sport in Auckland, he has written all or parts of two other books on running and was a senior writer for Running Times from 1997 to 2007, in which his popular column, "The Pfitzinger Lab Report," appeared. Scott Douglas is a freelance writer and editor with more than 15 years of professional journalism experience related to running. A former editor of Running Times, he is a regular contributor to Runner's World and Running Times and has coauthored four books on running, including two with running legend Bill Rodgers.